Parker Publishing Company, c1981, no other printings listed, 1st EDITION , 240 pages. VERY GOOD to EXCELLENT Condition Hardcover with a VERY GOOD to EXCELLENT Condition Dust Jacket protected with a Mylar Cover. This book is ex-library with usual markings, light sunning to dj spine & slight age yellowing to pages. Pages & Binding are NICE & TIGHT! 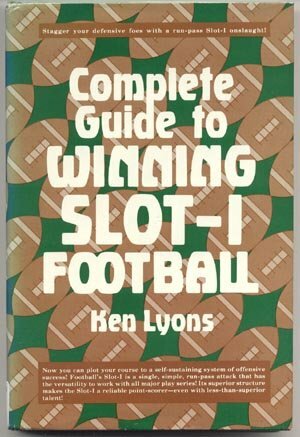 Filled with diagrams, strategies and offensive keys, this book is the perfect addition to any football coaches library.